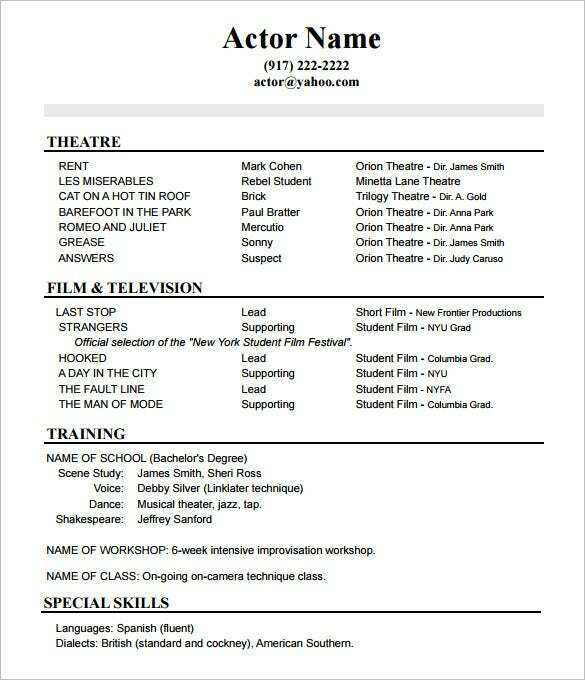 The field of acting is full of ambitious and talent people. 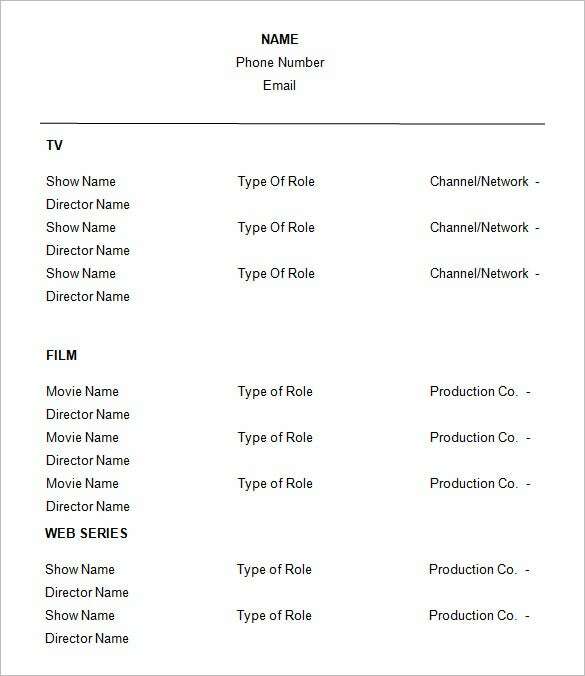 One must always showcase themselves in the best light to further in this field. 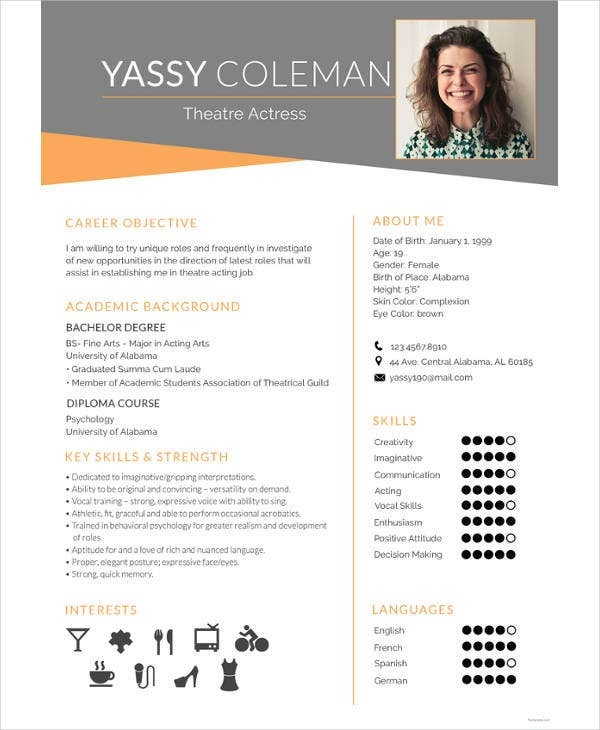 An Acting Resume templates show individuals exactly what needs to be highlighted in an acting resume. 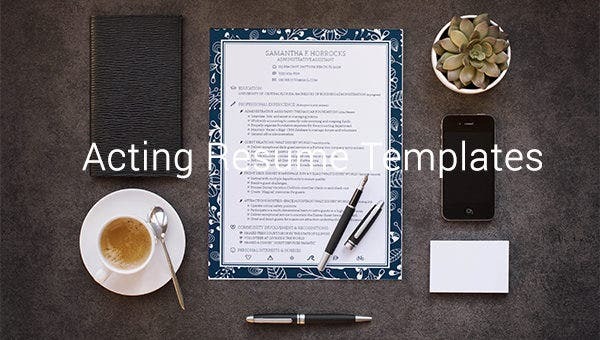 In this industry experience matter so the resume template should contain a photograph and details on projects they has worked on. 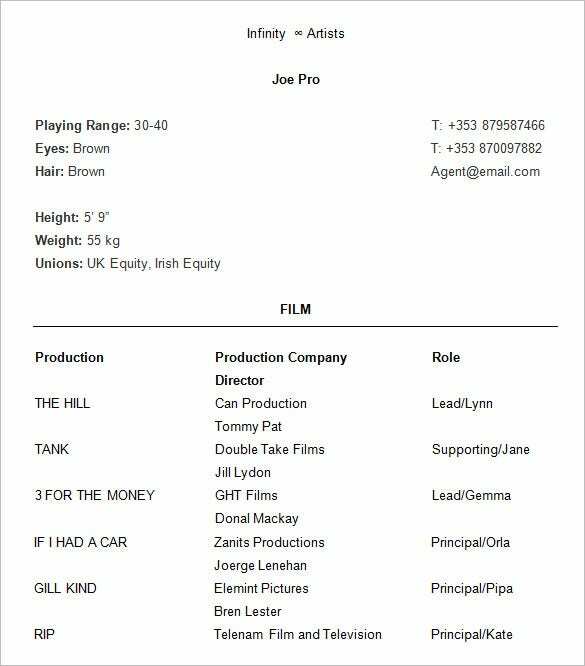 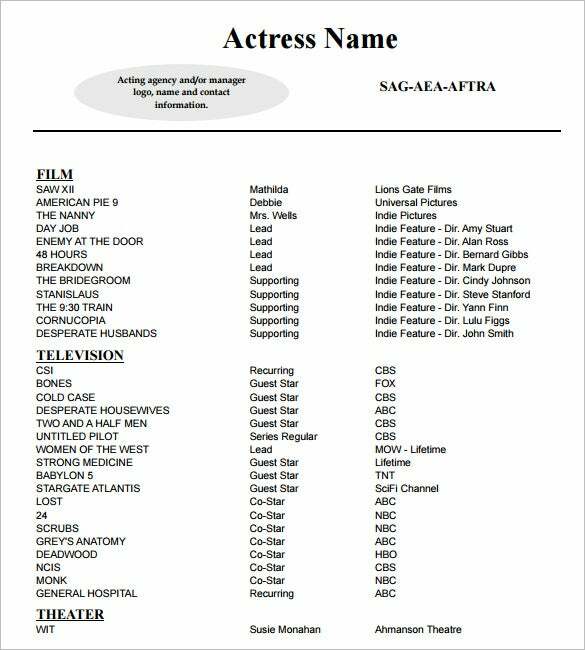 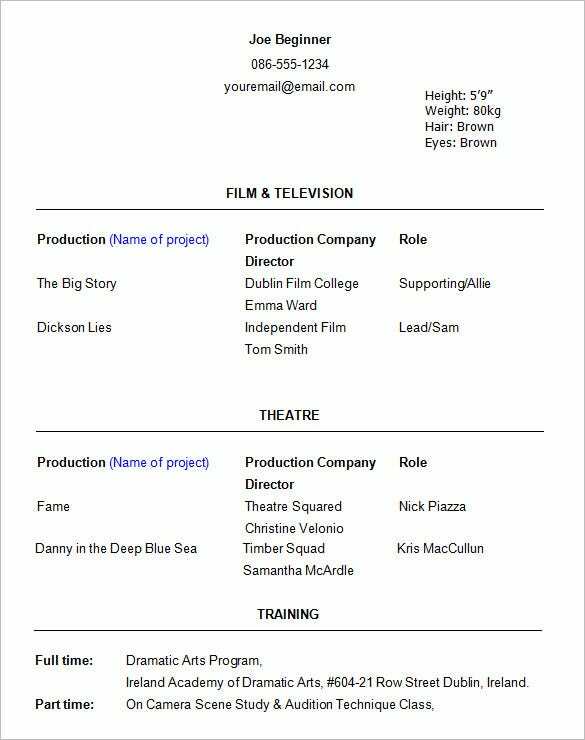 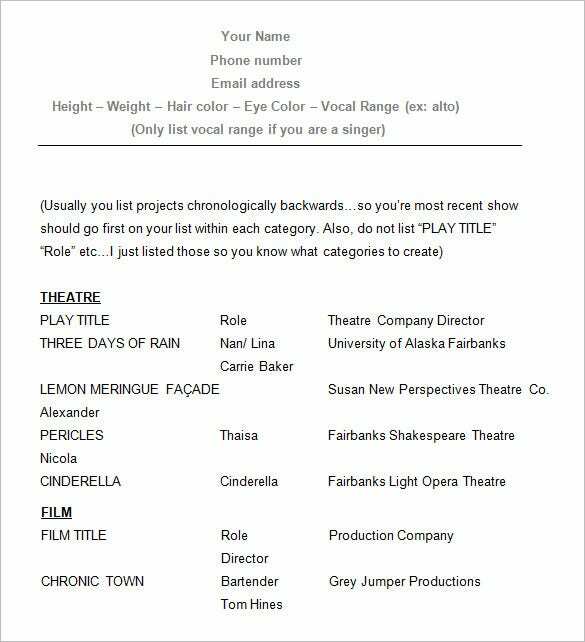 The right acting resume showcases an actor’s talent and diversity as well as list the number of projects they have worked on. 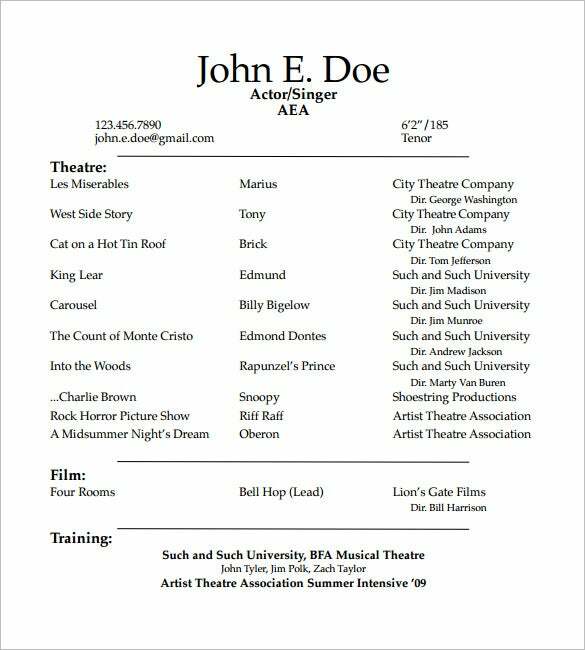 An acting resume would also emphasize on other talents like singing or dancing that might be useful later. 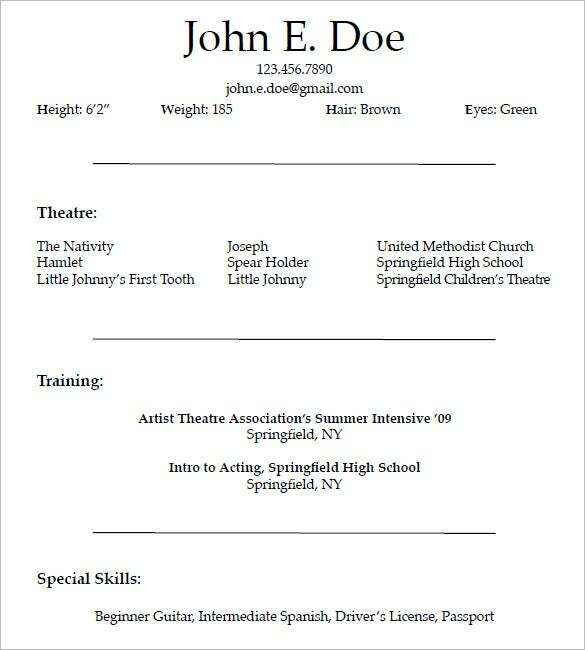 You may also see Blank Resume Templates.